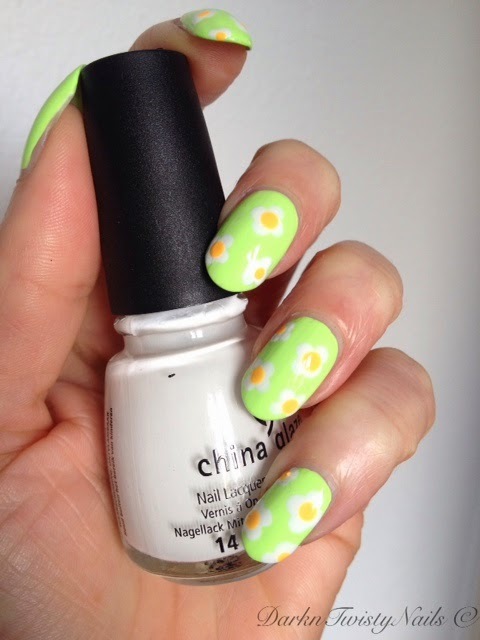 I've been looking forward to today's #SPRINGNORULES theme: Flower so much, that is, until I actually started painting them on my nails. I came to a shocking realization: I have no talent for flowers! Zero, none, I'm absolute crap at painting flowers actually! 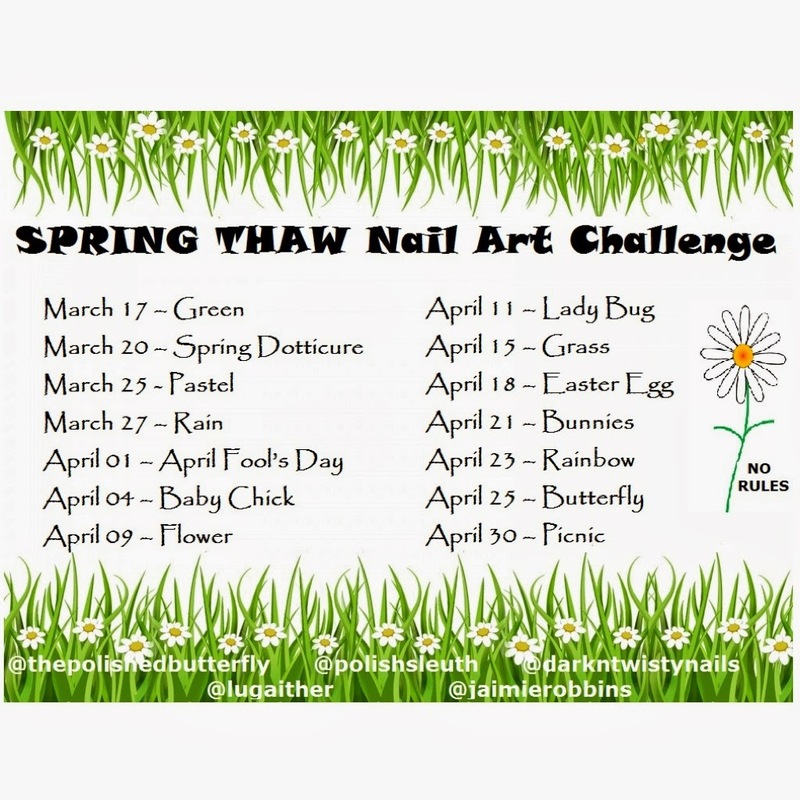 My first attempt was pathetic, I was going for gorgeous daisies on green green grass, but ended up with fried eggs on grass. Seriously, even my husband thought they looked like eggs. After this train wreck I decided to give it another go. I went with different colors for the flowers, but unfortunately that only made it worse. Not only did I end up with a total mess on my nails, they still looked like like fried eggs! Colorful... but still fried eggs! Not a good look on me (or anyone I would assume) at all! I'm giving up, flowers are just not my thing. If any of you know an easy way to make them cute and fun without the fried egg effect, I'd love to hear it! Are you a star at painting flowers or a complete and utter mess like me? I love the colour combo, is that Grass is Lime Greener? I will.surrender and give you eggs here. Have you tried doing them with a brush? Or try 5 dots just touching in a circle and then the center? 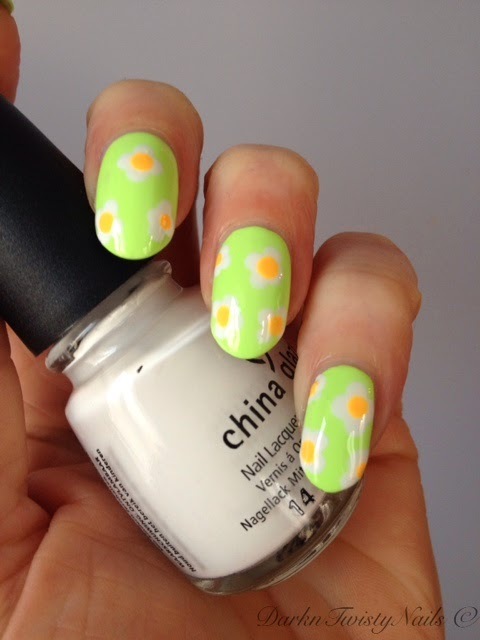 I did these with a dotting tool, but only 4 dots, I will try again and hopefully they will turn out better. I think it might be the white and yellow combo that's making them look like eggs.